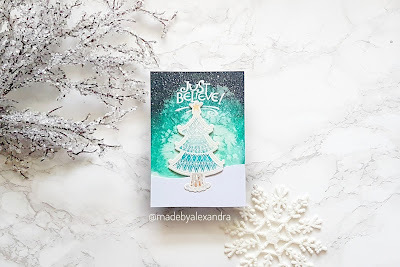 For this card i used the amazing Zenspired collection and you can find all the details on Spellbinders blog post so make sure to check that out! 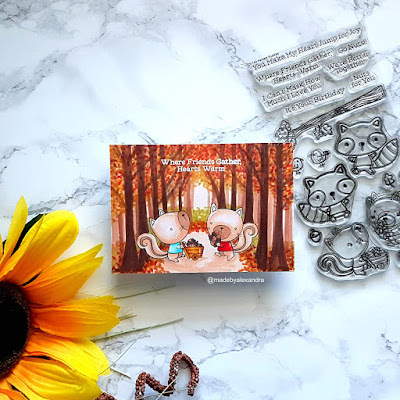 This card I have created for Butterfly Reflections ink so make sure to go and check all the details on how this card was created ! 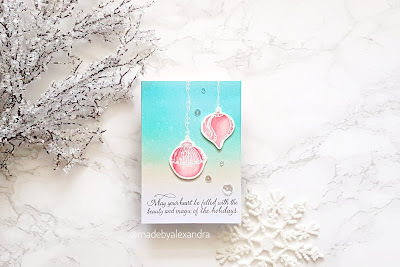 After finishing the panel I started working on my images and I stamped the ornaments from SBS - 164 Dangling ornaments using Versa Mark ink and white embossing powder and then colored them using Winsor&Newton watercolors. When the images are dried I fussy cut them and then add them to the background using foam tape . The sentiment is from SBS-165 Christmas Sentiments and to finish the card I added some Pretty Pink Posh sequins! All the stamps and dies that I used today were kindly sent to by Spellbinders to create with the new products! 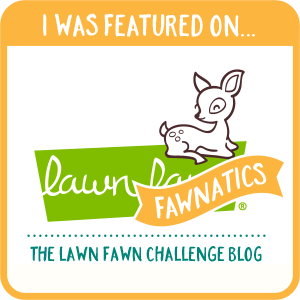 All the opinions are mine and I really enjoyed working with this products ! 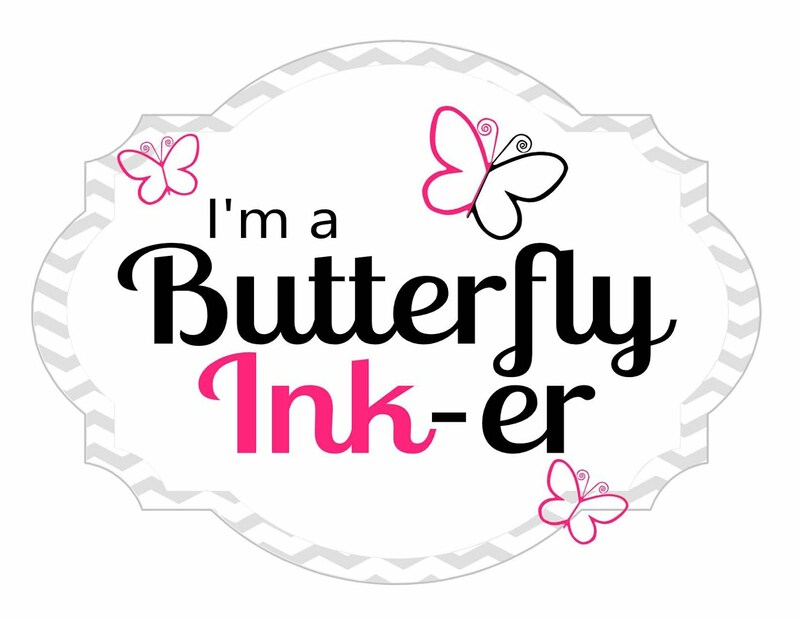 I m stopping by today quick to share with you my first DT post for Butterfly reflections ink shop ! Here is the card that I have created ! 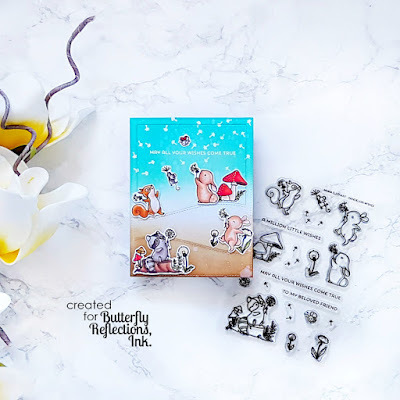 Please feel free to check out the blog post on Butterfly reflections ink for more details on how this card was created! For my card today I started by stamping the image from Sentiment wreaths on kraft cardstock using Versa Mark ink. 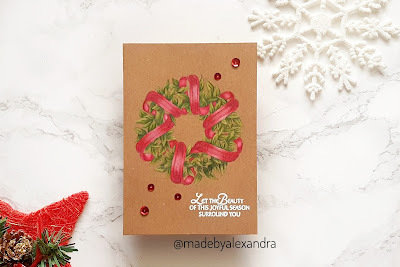 To color this beautiful Wreath I am using my Polychromos pencils , and the sentiment is from Joyful Season Angel and is also stamped with Versa mark ink and embossed using Wow embossing powder. I finished my card using some red sequins! 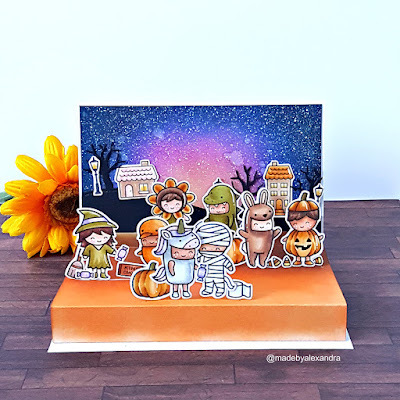 I have combined several sets from Lawn Fawn such as : Costume party stamp set , Winter village and Easter party stamp set to create the scene! 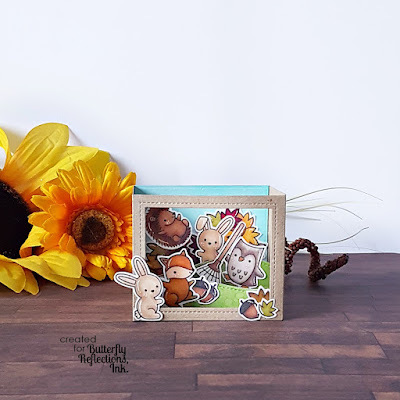 I am sharing with you an interactive card that I have made using Neat and Tangled stamps and also a video how to create this card! I started by stamping all the images using My favorite things Black liquorice hybrid ink and then colored the images using Spectrum noir alcohol markers. Once the images are colored I fussy cut them and added some details using white and black gel pen. To create the background I started by die cutting the panel using Studio Katia -Scalloped frames dies and ink blended using Distress inks and Memento inks. For all the details on how I created the interactive part you can check the video below. Thank you so much for stopping by! Hope you enjoyed the card and video ! 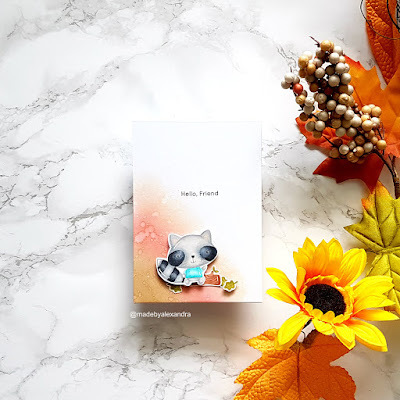 I was inspired by the current challenge from Neat and Tangled to sit and film a video where I also will enter this card! I am stopping today to share with you this card that I have created for the Innovation Master for MFT Superstar contest . For this card I used some stamps from MFT like Hog Heaven , Adorable elephants and Snuggle Bunnies, which I have colored using Spectrum Noir alcohol markers. Then I took another card base and just cut stripes of 5cm wide and cut then to be the hills and the interactive part of the card, and the also ink blend the. Once I glue the hills in place I added the critters and some other images to create a scene! 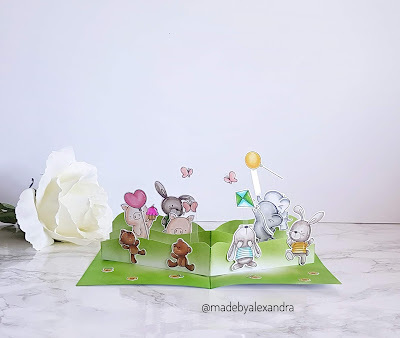 As you probably noticed if you follow mw on Instagram( there I post more oft cards) is that clean and simple comes not naturally to me:)) I always struggle to keep the cards pretty simple as I love adding critters and images to a card and to create scenes. I've started by inking the panel using Distress inks and after I was happy with how it turned out I added some water splatters and let it dry. 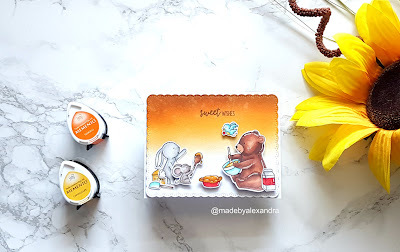 While the background is drying I started coloring this cute raccoon from Harvest buddies stamp set and because the card is pretty simple I decided to focus on the coloring more . Getting better at no line coloring is one goal that I want to achieve so I try to practice it as much as I can . After I colored the images I added some details using my Polychromos and also some highlights using a white gel pen. The sentiments is from Happy hedgehogs stamp set .